As a writer, there will be times when you feel like Zero. You’ll believe you have zero talent, zero hope of finishing your manuscript, and zero chance of breaking into the industry. Zero is a giant loop. While it might be normal to have these feelings, if you stay with the zero mentality, you’ll get stuck in the loop and go nowhere. This is the dangerous power of zero. No one has zero talent. Learn your skills. Celebrate the areas where you excel and work on the areas where you struggle. No one has zero hope of finishing their manuscript. Unless you quit. Simply take it one step at a time and stop putting so much pressure on yourself. No one has zero chance of breaking into the industry. It does take time, so don’t give up. But we also have multiple avenues to publication now. If one route doesn’t turn out how you want or expect, there are plenty more choices available. What do you do to fight the zero feelings? 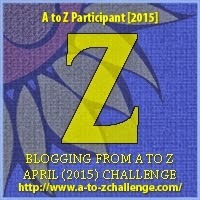 Congratulations to everyone for completing the A-Z challenge! Get out of the loop before you spiral down the drain! Thanks to all of my awesome IWSG admins for contributing this month. Thanks! I made it. To beat the zeroes, I just keep writing. I leave it for a minute and find inspiration outside of the writing. A visit to a garden, a museum, a show. Open the mind to get out of the loop. And yay, we're finished. Congrats on making it to the end of the Challenge! To combat the zero feelings, I eat a little chocolate and do something to inspire me. Then I come back to the computer refreshed! You've done a great job with the challenge. When I get to that "zero" moment, I just let it go for a bit, then come back. Sometimes your mind is too overwhelmed in the present to allow for the creativity to show up! Zero can quickly turn to hero, right? It really took years after publishing my first book before I got over the occasional zero feelings. Support of fellow writers help. Where's the champagne? And you're right about dissing that Zero. Let's put two behind a 1 and give 100% to reaching our goals. Well said .. and congratulations to all who helped the IWSG site etc ..
What encouragement with "no one has zero talent"! Sometimes I feel just like that, but I know it's not exactly true deep down. My talent is different than others and it's just a matter of honing in on my talent. Thanks for the inspiration! This may be weird, but I take a break when I'm feeling like a zero. I do something I'm good at and that boosts my confidence. To fight the zero feelings, I turn to motivational posts. Lucky for me, the net is full of them! Welcome to my IWSG aka "I Was Seeking Gary". ZERO is no big deal to me. I don't care about breaking into the writing industry. I'm happy being a smug amateur. Well done to all of you who did the alphabet thing. Enjoy your eleven months of reflection posts. What else am I going to do? I can't imagine life without writing. I'm happier when I write, so I've already started out way past zero. You have good points here, Lynda. And boy, with my memoir about attending college with five kids in tow, I'm having zero moments. I need to look at only one problem at a time as I go back and revise. And then go back and revise again. Your post is very timely for me. Thanks for these tips. Great to be with you at Z, even if my solution to Zero is too often 'sleep'. I go read something. I figure if I'm not writing, then reading is the next best thing. Or I'll visit Twitter and check out how other peeps are doing with their WIP. There's always someone else who's stuck or gnawing their fingernails over a project. Or I'll call a friend to brainstorm and problem solve. Alex, all the admins did a brilliant job! And so did you, of course. Joy, writing makes all the difference! Val, that break to get in some living never fails to inspire. Linda, that overwhelming feeling is never fun, but the break often helps. Pat, That was almost my title: From Zero to Hero. Susan, lucky you!! And yes, support from fellow writers is essential. Lee, the champagne is in my belly! Dr Theda, thanks so much. Hilary, thanks!! And cheers to you too for the support. Cathy, I hope you persevere. Gary, sounds like you're in a good place. Nadine, that's so awesome to hear. Michelle, little by little makes things happen. Victoria, I hope you work through those zero moments. One problem at a time is the best way to do it. Roland, sleep works too! I often feel refreshed and ready to tackle the world again after sleep. Li, reading is absolutely the next best thing. In fact, it's on par with writing. And friends are great for helping out in a brainstorm session. A great note to end the challenge with. I feel like I've been in the zero loop lately with writing, so this is helpful. I should have visited your blog more this month! Zero is a sure sign I need to take a nap. Or pick up a good book. Or eat some cookies. Like everything else, the feeling passes. Excellent Z challenge, Lynda. Hey guys! I am just passing thru on the A-to-Z Road Trip. I really enjoyed the collaborative efforts you all put in here for so many encouraging posts. Have really enjoyed your A-Z posts and I've picked up a few good tips - thanks!